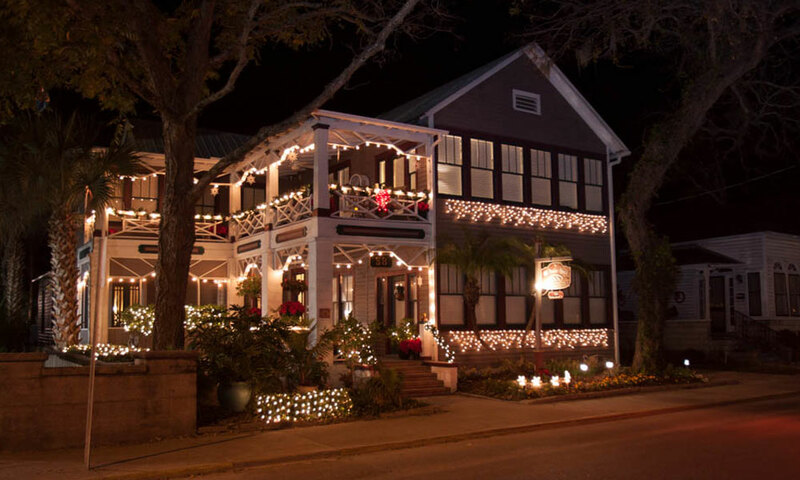 The Old Powder House Inn is a Victorian-style bed and breakfast on Cordova Street in the heart of downtown St. Augustine. This historic bed and breakfast gets its name from the original building that stood on the property, which was used to store gunpowder for the Spanish soldiers at the nearby fort. Mature pecan and oak trees surround the property, providing shade for the Inn's guests to enjoy while they relax on the wide verandas, courtyards, and gardens. This historic inn boasts nine spacious rooms, each decorated in a different theme. All rooms have TVs with cable and all come complete with a private bath. Some have beautiful views of the gardens and the surrounding historic downtown area. Free parking and high-speed WiFi are offered to guests. Beverages and homemade cookies are always available in the comfortable parlor. 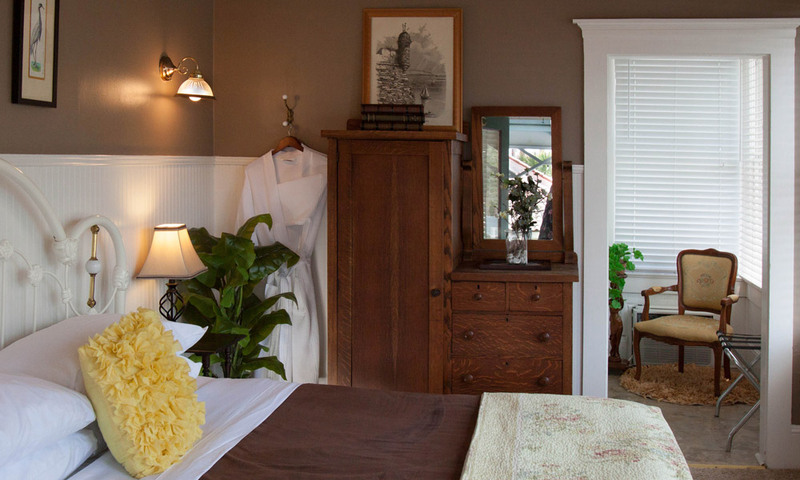 The Old Powder House Inn offers elegant accommodations that are ideal for couples looking for a romantic retreat and for anyone looking to celebrate an occasion or just spend some time enjoying the Old World atmosphere of the nation's oldest city. 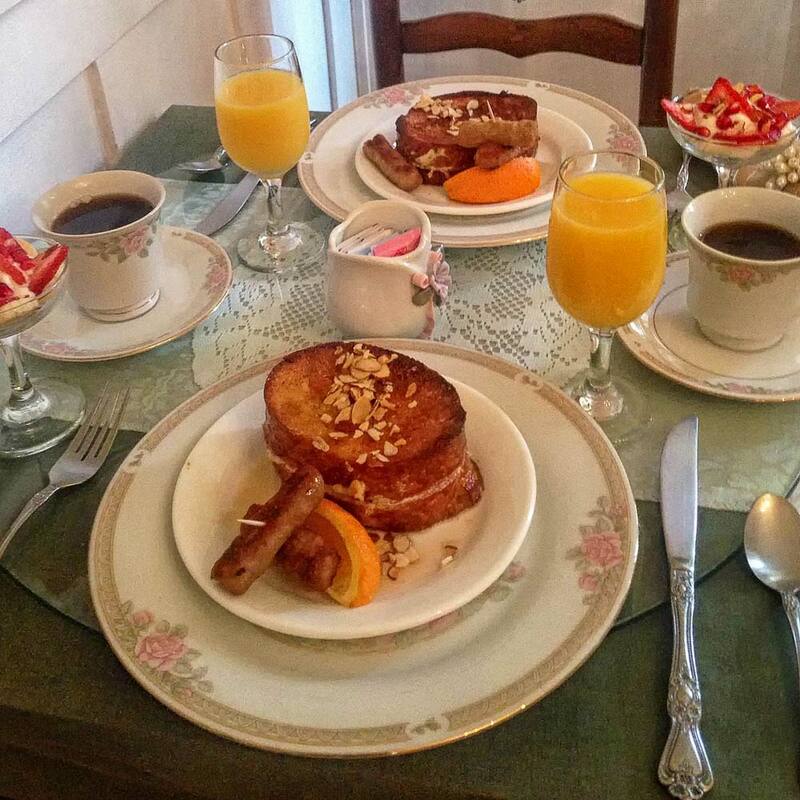 The delicious breakfast served at Old Powder House Inn gives guests a perfect way to start their days. 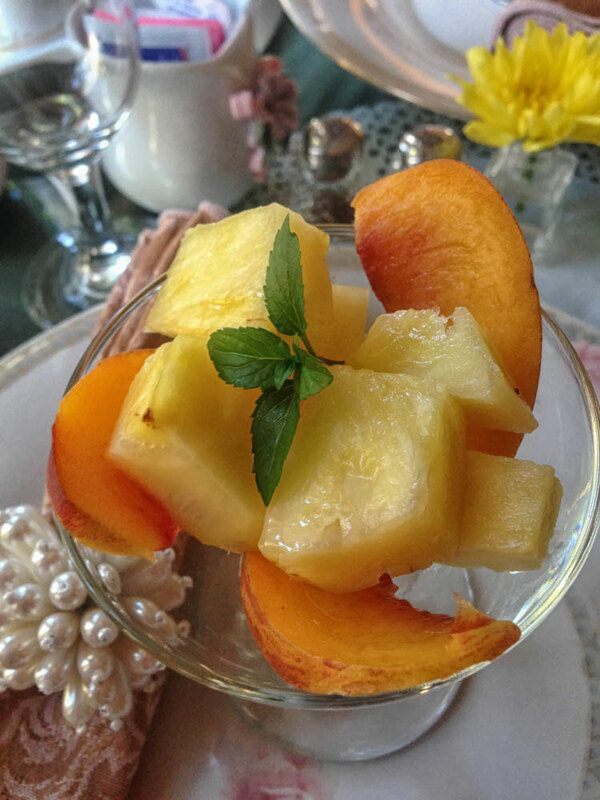 The owners pride themselves on their breakfasts, with a menu that includes eggs Cordova, eggs Benedict, quiche lorraine, stuffed French toast, fresh baked sweet breads, fresh in-season fruits, and more. The staff of the Old Powder House Inn is always happy to assist guests in putting together an itinerary and helping them find the many local attractions, such as the Lightner Museum, Castillo de San Marcos, and Flagler College, all of which are just a short walk from this historic bed and breakfast. The Old Powder House was named one of The Top "Best Overall" Bed & Breakfasts in North America in Arrington's Inn Traveler Book of Lists. Cable TV, queen- or king-sized beds, private bath, private on-site parking, complimentary coffee and tea. Some rooms have balcony views.